Not a whole bunch of exciting endeavors in the past few, but a good amount of work. After all that time on my back I am in need of some catching up. A dangling South America project, a wedding, remodels, cars and all that add up fast in four months time. I'm trying to find balance in trying to go double time to catch up, and making sure that I rebuild this body again with a slow quality. Doing what I can. 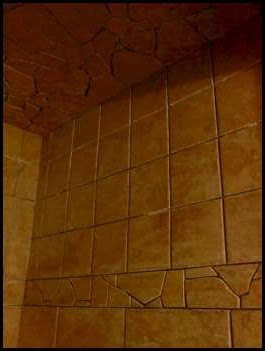 ^Sneak peak at the top back corner of the shower being redone in the basement. I got a little creative with leftover broken tiles to save a little money, and to add an artistic touch. I think it turned out well. It is pictured here without any grout yet. Just finished laying it all, and grouting is next. 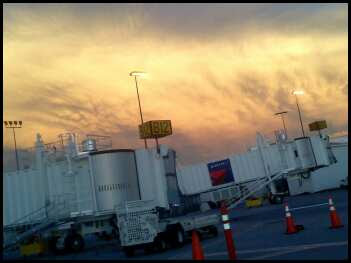 ^Out on the Delta Airlines ramp at night is back to it's same old-same old status again. I have to say that, for me though, that is kind of a nice comfort to return to after a certain amount of uncertainty. 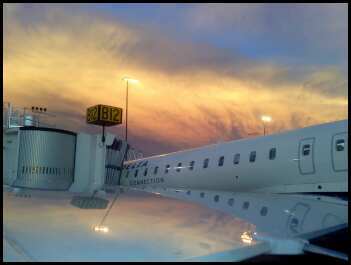 A wild sunset like this one over the ramp was a real mood lifter though for an average evening on the ramp. Planes come in, planes go out. ^It is very cool how a natural event can elevate the attitude of people. Even while at work the rare light show was enough to turn a regular work day into something I am putting on the website. A photo like this can give you a little different perspective on how cool a regular old Canadair Jet can appear. Obviously, I am still on my journey to find art in everything, and keep my edge on that spice of life balancing act that I always ramble on and on about. Can be a tough task.